I decided to bring this show out of the archive because it really is destined to be a historical record of an interview with one of the greatest American runners of our time. 3 time Olympian and 2 time World Cross Country Champion Craig Virgin. This is what I would like to refer to as “Old School”, the way training and racing was before the advent of the running shoe industry. Craig held the American 10k record for over 22 years until Meb Keflezighi finally broke it in 2001. 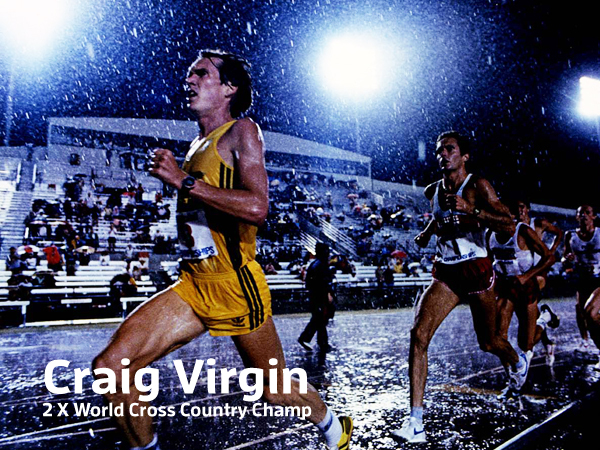 Craig Virgin shares his insights on training now vs. back in the day, running shoes, running form and his hopes dashed due to the boycott of the 1980 Olympics. If you’ve not heard this episode you really need to give it listen! ← Stefanie Bishop – One Tough Mudder, actually, the Toughest!